word-art, has a natural affinity for that which is beyond words: beauty, horror, love, the sacred, and so on. And, finally, as someone (it might have been me) said, “Poetry is the art of breaking words across the silence without disturbing it.” Good poetry – unlike prose, which tends to revel in its own loquacity – economizes to the point that what little is said does not describe, as does prose, but points to, just as a finger points at the moon; ... for silence is as asymptotically close as we humans can get to the perfect truth. A stripper loves a swinging lightbulb. An explorer encounters the Face of God. The accidental inventor of streaking. Children dig a hole to China. After his death a father's storytelling talent is discovered. A couple find the way to have a perfect relationship. A soldier at the front writes an absolutely perfect poem. A Sultán who despairs of finding the woman he desires in his well-stocked harem. A woman is haunted by her own reflection. A dying man feels ever so much better when his family has gone. An explorer changes the name of a village in rural Asia – and changes history. A mountain pool that shows the Face of God. A couple who have the perfect relationship, by never divulging any personal information to each other. A government agent finds a hill on which he may face death if he crosses it. A father carries his dead child through the village to the sacred mountain. A boy turns into an orange to escape his tormentors. A planet with a million gods and only one human. A little deal with the Devil. Shadows haunt a traveller’s night. A young girl whose dolls are alive. The room that shouldn’t be there, beyond the bedroom wall. A living boy rides with the Caravan of the Dead. Someone who remembers only the future, not the past. A battle of wills between character and author. In the most ancient times, someone invents hills, but forgets to invent “down the other side”. The City of Mists, from which no one ever returns. A freak who is a little too real, even for the travelling circus. The letter “W” is banned from ever being spoken or written. A struggling author meets his own unfinished story. Some kind of kid named Weisenheimer brings a god to life in the barn. 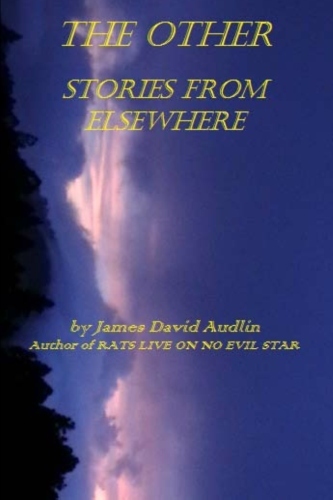 The author of "Rats Live on no Evil Star" and "The Circle of Life" arranges a bizarre bouquet of strange blooms, most of them based on his own dreams and nightmares. "I think the time has come to embalm these stories and commit them to the museum of the written word. "I beg you, though, to bear in mind that these stories are meant not at all to be read silently. Try reading them aloud, especially before a good campfire, and see if the mummies do not escape their wrappings and walk about in the firelight, as strange and beautiful as when first they came to me. "These stories frequently border on the improbable, if not the outright fantastic; I have been lifelong a writer of stories that leave behind the mundane, ordinary, 'realistic' world of our everyday experience, and I believe that such stories can pull our minds out of the ruts of culturally conditioned thinking and propel us into new ways of understanding and perhaps even of being. "The common theme, I believe, is the idea of sainthood. But a saint, to me, is the same as a bodhisattva or a medicine man or woman – such a person is not necessarily associated with a certain particular religious tradition, or any at all. Such a person, rather, is one who knows how to walk the 'pathless path' and guides others on it. A saint is one who has left behind the sound and fury of this physical world, who has transcended self entirely, and who thus can guide others on the path to transcendence. "The stories herein partake of motifs from several spiritual traditions, however I do not mean any of them to be representative, or even evocative, of any particular tradition, but rather of the universal theme of transcendence that is found at the deepest level in all traditions, at the level where particularities of creed and dogma are left far behind and one approaches the unspeakable Truth that underlies all being. "I mean this collection to resemble somewhat, and to serve as my humble bouquet offered to, those wonderful Mediæval 'Lives of the Saints', and similar fantastic gatherings of tales found in sacred traditions worldwide, as well as the parables of Jesus and others, and traditional Talmudic, Sufi, Taoist, Native African, and Native American stories. "As Gautama Buddha said, 'To reach a destination you have never found, you must take a path you do not know.'" Sure, God is capable of everything. But it wouldn't do for the Creator of the Universe to break the same rules that all Creatures of the Universe are expected to obey. That just wouldn't be cricket. So, when God takes a vacation, just like everybody else God has to make a reservation on the phone (okay, the phone miraculously appears in Heaven just in time to make the call, but who's to care; these days you're lucky to get a phone installer out to Yonkers, let alone to park his van in front of the Pearly Gates) ... and winds up at a seedy hotel in Cancún known as the Hotel La Sien Áquali, better known in English as the Lousy and Ugly. But that's just the start. How does the Creator of the Universe manifest in human form? As a nebbishy Jewish guy? Can't get no respect from the hotel staff. As a tall, gorgeous Black woman? What, and get hit on by Her own Creatures? Then there's the guy who tries to smuggle in a planeload of contraband Tuesdays. God only knows, literally, that there's going to be a lot of unhappy Creatures if they wake up every morning and it's Tuesday yet again. Several stories have already been composed toward a new collection of bizarre short fiction - including a very long tale about a princess escaping the castle during a revolution and trying to hide in the midst of the mob responsible, a medium-sized tale about a young couple only able to succeed erotically in a department store window, and a very short story based on Chekhov's famous advice to authors about introducing a gun into their fiction. The theme, as this anthology takes shape, is that of evanescence. Nothing lasts forever, including this description of the anthology's contents. David May was a brilliant poet, novelist, and musician. 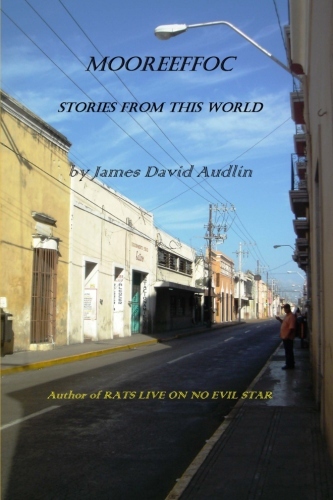 James David Audlin had the privilege of his friendship ever since their first meeting in 1973. 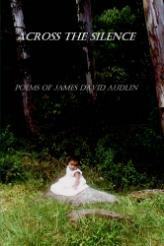 Audlin has an extensive collection of fascinating, occasionally humorous, often profound letters from David May, and an extensive collection of May's poetry and fiction. 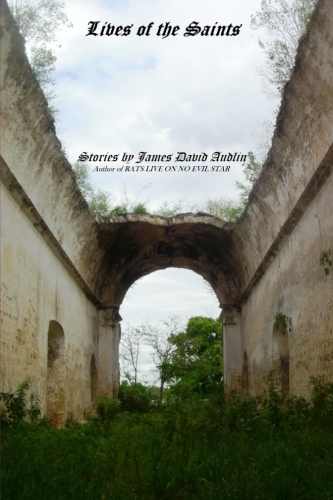 It is hoped that this anthology will present a sense of the astonishing talent of a man whose life ended far too soon.